Baseball Fast & Slow Starts: Celebrate or Pack It In? 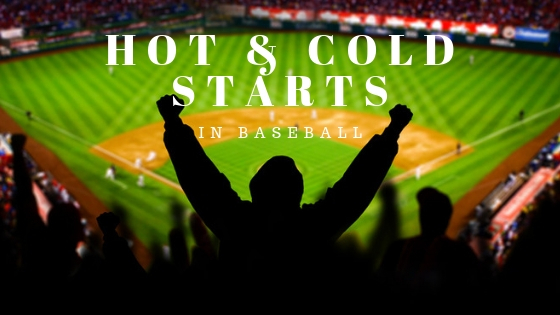 We’re now a little more than a week into the baseball season, and every team has had a chance to play through a few series, see which players got off to a hot start, send a few players to the injured list and start to take inventory of how their season will shake out. A few teams are performing as expected, while some are performing well above or below expectations. Let’s break down three teams doing well and three teams doing poorly, and whether or not you fans should celebrate or hit the panic button. Taking three out of four against the Red Sox to open the season was impressive, but rolling over the Angels, White Sox and Royals was expected. The Mariners will play Houston in a few days and go on the road in May to the Indians, Yankees and Red Sox. A fast start was important for a team that shed large contracts, but their pitching has allowed more than 60 runs to this point, and the best pitching staffs are averaging less than half of that through the first few weeks. We hate to say it, but this start is no reason to celebrate in Seattle unless they can control the Astros all season. 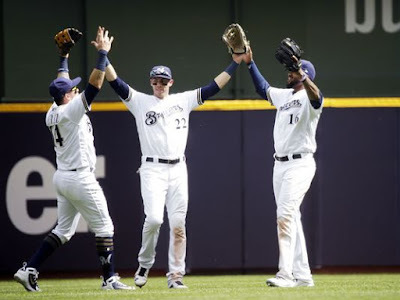 Christian Yelich picked up exactly where he left off and crushed plenty of home runs to start the season, and the Brewers dominated NL Central rivals in the Cardinals and Cubs. They are more or less even in runs allowed and runs scored, but the real test is the teams that can grind out the close wins. Milwaukee has the clutch hitting and pitching to do just that. Brewer fans, go ahead and celebrate this start. You’re on your way to the postseason again. They may be tops in the division, but they’re not scoring a lot of runs against inferior pitching staffs. Always a feel-good story in baseball, the Rays likely won’t be able to maintain this momentum once they face potent offenses in the heart of the season. Unless some major injuries befall the Red Sox and Yankees, we can’t say the Rays should go ahead and celebrate their fast start. You can’t win baseball games if your pitching staff can’t hold leads. After an Opening Day slugfest, the Cubs lost six straight games despite scoring the third most runs in both leagues. Granted, three of those losses were to the postseason-contending Atlanta Braves, but another two came to the lowly Texas Rangers that don’t expect to contend this year. If Chicago can’t get seven or eight innings out of every starter this year (and they won’t), then the middle relievers need to be trusted in tight situations. We say there’s slight reason to be worried, especially considering the danger lingering in the Brewers and Cardinals. The Cubs could be in for a rude awakening this year. Maybe it’s the hangover from winning another championship, but the boys from Beantown just don’t look like themselves. Their pitching staff has been hit hard to the tune of 72 runs allowed through 11 games. That’s tops in the league. On the plus side, the Tampa Bay Rays can’t possibly continue their fast start once they get into the bulk of divisional play. We say no reason to throw in the towel. The Sox will be fine and back in contention in short order. Back-to-back years in the postseason have fans believing the Rockies’ core can get it done, but giving up lots of runs to the always-dangerous Los Angeles Dodgers and following it up with series against the Braves, resurgent Padres, Phillies, Nationals and Brewers spells a very tough stretch for the Rockies before the bulk of the May calendar. 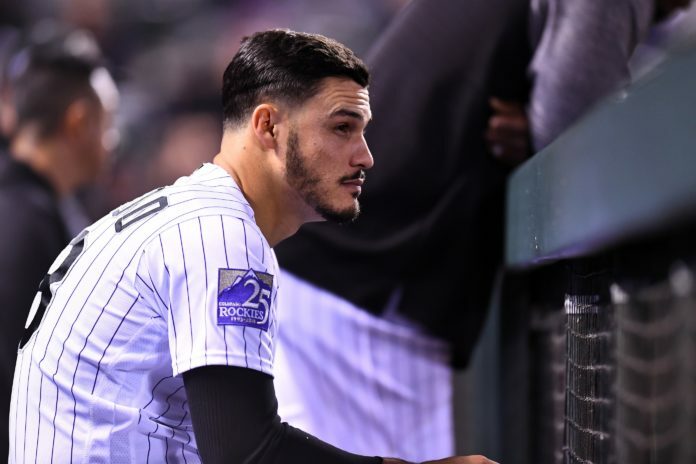 It’ll depend heavily on how they fare in those close games, but we think there’s a bit of a reason to worry if the Rockies don’t come out of this April gauntlet intact. The beauty of baseball is the season is long and full of ups and downs, so there are plenty of chances for teams to rebound from rough patches. What do you think of our expert analysis of these six overachievers and underachievers? Share your comments below, and enjoy the rest of the season. Play ball!